Visualize interior design projects with Virtual Architect software before investing time and money on the real thing. Virtual Architect’s step-by-step video tutorials, get you started fast! 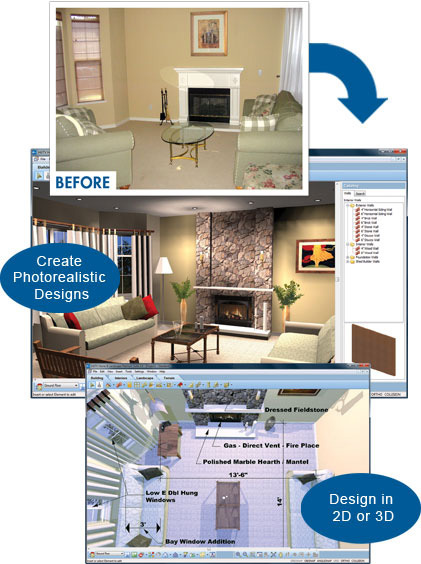 No Design Experience Necessary - Virtual Architect’s software uses a wizard-driven interface making interior decorating a breeze! Get Started Fast - Scan in current photos of your room or use the interior design wizard to sketch your space. Using drag-and-drop technology, you can effortlessly discover a new design style with Virtual Architect software!